BLACK, JOHN, Presbyterian clergyman; b. 8 Jan. 1818 in the parish of Eskdalemuir (Dumfries and Galloway), Scotland, eldest son of William Black and Margaret Halliday; m. first 21 Dec. 1853 Henrietta (d. 1873), daughter of Sally and Alexander Ross*, and they had four sons and three daughters; m. secondly 9 June 1874 Laurenda, sister of Andrew Graham Ballenden Bannatyne; d. 11 Feb. 1882 in Winnipeg, Man. In the summer of 1841 his family emigrated to Bovina Township, N.Y., where two of John’s married aunts were already living. He taught in the local school for a short period before enrolling in an academy in Delhi, N.Y., to prepare himself for the ministry. For the three years he was a resident in the United States, Black had a connection with a branch of Presbyterianism known as the Associate Church. He could not completely accept the teachings of this church and hesitated in his choice of theological schools. 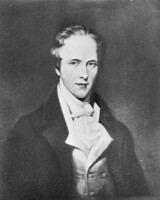 Following the disruption of the Church of Scotland and the formation of the Free Church of Scotland in 1843, Black decided to attend the Free Church’s college (later Knox College) in Toronto; he was one of its first students when it opened in 1844. At the college he was active in the students’ missionary society, and because he had some knowledge of French he was selected as the students’ “French Missionary,” serving in the summer of 1847 at Pointe-aux-Trembles near Montreal. At the close of his final college session in 1848 he proceeded to Canada East and was licensed to preach by the presbytery of Montreal. He expected to work among the French Canadians in Canada East but the shortage of Presbyterian ministers led him to supply English-speaking congregations as well. In July 1851 he was ordained, and reluctantly agreed to serve the Presbyterian community in the Red River Settlement (Man.) on the understanding “that his stay in the North-West would be brief.” He had no intention of remaining permanently, not wanting to be so far from his parents in New York. Though he recognized that Red River was “a very important mission” he felt he was being forced into it against his will. “Nobody else would go,” he wrote his brother James in July, “and so I am called to go.” Black arrived in September, the first Presbyterian minister in the northwest, and though he always hoped to return to eastern Canada he remained at Kildonan (now part of Winnipeg) until his death. During his three decades of service there Black was instrumental in the development of a number of Presbyterian churches and missions in Manitoba and the North-West Territories. Just prior to his arrival in 1851 the Hudson’s Bay Company had granted the Presbyterian community £150 and a plot of land at Frog Plain (about five miles north of Upper Fort Garry) in lieu of its rights in the Church of England’s Upper Church (later St John’s Church), where it had worshipped. On this site at Frog Plain the Kildonan church was completed in 1853. There was a protracted conflict over the consecration of St John’s graveyard which would have ended the Presbyterians’ rights to burial there. 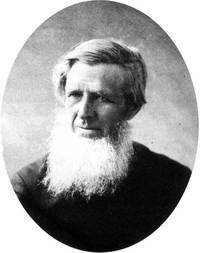 When the Anglican bishop of Rupert’s Land, David Anderson, embittered that the Hudson’s Bay Company had interceded on behalf of the Presbyterians, refused to accept Presbyterian students at his school, Black, an experienced teacher, established a Presbyterian school beside the Kildonan church. Although his mission to Red River was primarily in response to requests from descendants of the settlers brought out by Lord Selkirk [Douglas*], the synod of the Presbyterian Church hoped that Black, with his knowledge of French, might also work among the Métis and Indians. 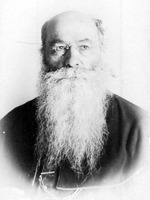 Throughout his years in the west he “cherished a deep interest in the spiritual welfare of the Indians” and as a result of his leadership the Reverend James Nisbet* was sent out by the Foreign Mission Committee in 1862; within four years Nisbet had established the first Presbyterian Indian mission, at Prince Albert (Sask.). In 1868 Black built a church, later Knox Presbyterian Church, in the village of Winnipeg and three years later was instrumental in establishing Manitoba College, one of the colleges that federated with the University of Manitoba when it was incorporated in 1877. Although the Kildonan church was used as an assembly point for forces opposing Louis Riel in February 1870, Black was active with other clergymen in attempts to keep peace between the English- and French-speaking sections in the settlement. 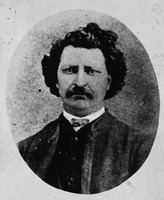 He was present at the mass meeting held at Upper Fort Garry (Winnipeg) on 20 Jan. 1870 and was appointed to a committee that was to arrange for the election of the English delegates to the “Convention of Forty,” which met six days later. PAM, MG 2, C14. UCA, John Black, Corr. United Church of Canada, Manitoba Conference Arch. (Winnipeg), John Black papers. Begg, Red River journal (Morton). J. W. Bond, Minnesota and its resources to which are appended camp-fire sketches or notes of a trip from St. Paul to Pembina and Selkirk settlement on the Red River of the north (New York, 1853). HBRS, XIX (Rich and A. M. Johnson). A. Ross, Red River Settlement. George Bryce, John Black the apostle of the Red River; or, how the blue banner was unfurled on Manitoba prairies (Toronto, 1898). Olive Knox, John Black of old Kildonan (Toronto, 1958). J. P. Schell, In the Ojibway country: a story of early missions on the Minnesota frontier (Walhalla, N.Dak., 1911). Hartwell Bowsfield, “BLACK, JOHN (1818-82),” in Dictionary of Canadian Biography, vol. 11, University of Toronto/Université Laval, 2003–, accessed April 20, 2019, http://www.biographi.ca/en/bio/black_john_1818_82_11E.html.